Gary Ventura Michelle Price with daughter Takeya Coffie (front) and sons Barrington Price, Jr., and Ralik Coffie (back). Daysean Smith misses his grandmother. He'd like to visit her, but she's too far away. She'll be coming home soon, and he can't wait to see her again, although he wonders if she'll be the same. "I'm not supposed to talk about her," he says in a soft voice. Until a few years ago, Daysean and his younger half-sister, Azhanae, lived with their grandmother. But then she was convicted of fraud, and when she went to prison, they went to live with their mother, Mitzi Mason, who is a diabetic. Like many 12-year-olds, Daysean likes cartoons and games. He points to two certificates on the wall he received for excelling in sixth-grade reading and math. He doesn't see his father much, she says, "because he hit me and my mom." And, he says, Azhanae's father is also in prison. Standing in the doorway of their apartment in the northwest section of the city, Daysean points across the street. "I saved my mother," he says. "She fainted, and I ran across the street to get my mom's friend. She told me I saved her life. At first, I wasn't afraid. I didn't even think about it. But later I was worried about my mom, because if something else happened to her I didn't know what would happen to me and my little sister." 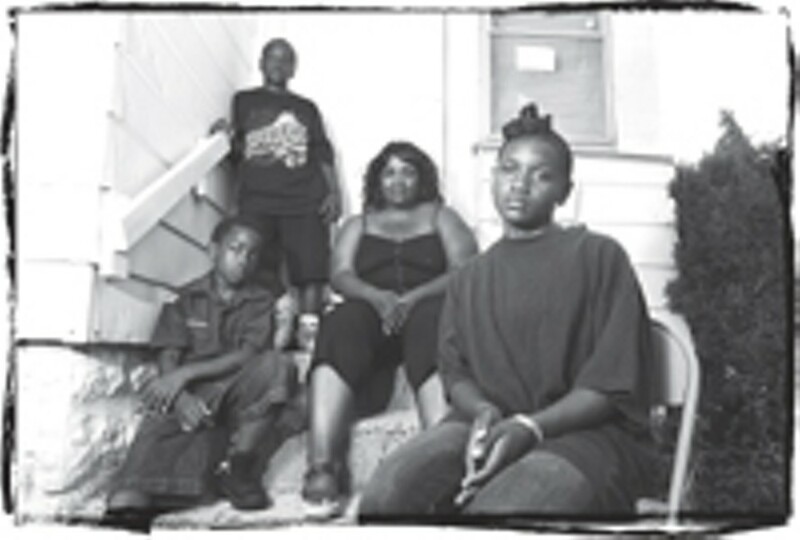 Daysean is part of a growing population of children coping with the effects that incarceration has on families. When children's parents go to prison, their lives are thrown into chaos. Suddenly, someone they have trusted to take care of them is gone. • There are more than 2 million people in US jails and prisons, more than in any other western country. • The number of women entering prison has risen sharply --- by 400 percent since 1980. 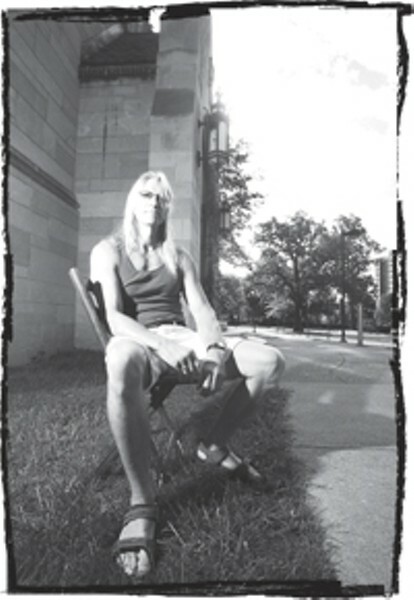 • In 1999, more than 70 percent of the women in New York's prisons were there for drug-related, non-violent crimes. • More than half of those women left behind children younger than 10. Peter Shaw knows these statistics all too well. An athletic man whoseems more like a coach than a social-service provider. Shaw is the director of Project COPE --- Children of Prisoners Embraced. There are about a dozen agencies in Rochester that help men and women after being released from prison. But COPE is one of the few that works with children of prisoners or ex-prisoners. Shaw and his small staff train adults to be mentors and then match them to children. 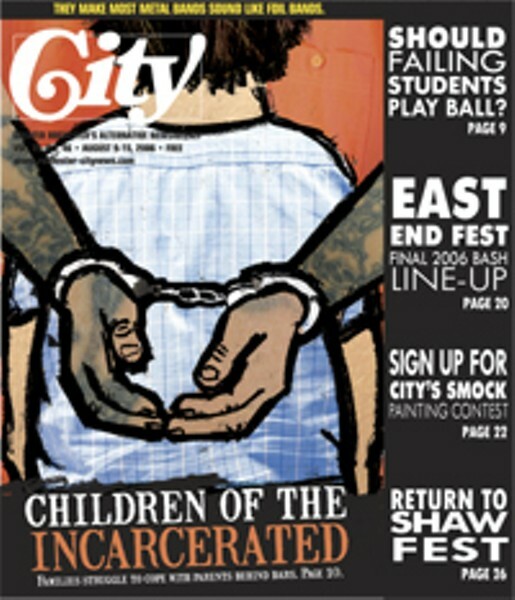 One statistic worries Shaw more than any of the others: children of an incarcerated parent are 10 times more likely than other children to become incarcerated themselves. "These kids are out there in larger numbers than ever before through no fault of their own," says Shaw. "When one parent in a household is gone, there is often an emotional void for that child. And now the single parent is wearing many hats. If it was the father, he might have been the breadwinner. Now there is no money coming in. The remaining parent and children are in an emergency that unfolds very quickly." Most of the children Shaw sees are between 4 and 15 years old, about an equal number of girls and boys. This year Project COPE will match about 100 MonroeCounty children with mentors. "We are trying to bring some stability back into that child's life," says Shaw. "The mentors are there to offer guidance, have some fun, and just be a friend. They may go to the movies together, a music concert or a Rhinos game --- whatever they can enjoy in common." Children respond differently to the turmoil around them, Shaw says. Some are more resilient than others. But COPE is not designed to replace an absent parent. "That would be unrealistic," says Shaw. "Yes, boys need someone to show them what it means to be a man. To me that means learning that you have options when it comes to things like joining a gang, whether you should have a sexual relationship, how you handle your anger about a situation at school. And how do you learn that? How do you develop good judgment? One way is by just seeing how someone else lives, what kind of work they do, how they treat their children and what they do for fun. These children don't always get to experience this." Michelle Price has three children: Ralik Coffie, Takeya Coffie, and her youngest, Barrington Price Jr. Their father is in prison. All of them have mentors through Project COPE. "I thank God for them," says Price. "My kids, they love their mentors. I have complete faith and trust in them. I am a single mother, and I have to be at work a lot. And while they are supportive of me, I can't always drop everything for my kids. The mentors are a support system." It's around 7:30 on a Sunday evening, and Barrington has been outside playing. He runs upstairs and changes his clothes, urging his older brother to follow. As their mother enters the dining room after a day at work, Ralik and Takeya hug her and begin unloading things from her arms. And Ralik talks about what he enjoys doing with Jeff, his mentor --- going out to eat and to movies, for instance. "Jeff likes music, and I like music too, so we go to concerts," Ralik says. "But sometimes we just hang out." Takeya opens a scrapbook on the dining room table. In it she has pasted photos of her friends and family with a short description next to each one. It's one of the things she has done with her mentor Kathleen. "I learned how to knit pretty fast," says Takeya. "She knows a lot of crafts and things, and I like art. I love making things." Ralik and Takeya are both teenagers, and the teen years concern their mother most. "It's very hard keeping my family together," she says. "I have to be everything to them. Programs like this are so important. If my kids call me at work with a problem, I may not be able to stay on the phone with them. But they can call their mentors." Maria Gonzalez wanted her son, Jonathan Garcia, to have a mentor because she wanted someone to help her keep him on the right path. A strong and imposing woman, she says she keeps a tight reign on the 14-year-old. "My worse fear is he'll end up drugging and robbing like his father," she says. "I want a father figure that shows him right from wrong, someone he can talk to." The father has been released from prison, and Jonathan says he does spend time with him. "I love him, but I don't want to be like him," he says. "One time in school they asked: why do you look up to your dad? But I didn't have anything to say. He's been clean now for nine months, but I don't know. You never know; he might go back. I hope not, but you don't know." "I'm an old-timer at this," his mother says. "I tell people that anyone can change if they want to. It's not easy, but they can re-establish a relationship with their children." But she says she wants her son to understand that some people don't change. "That's why I am as strict as I am," she says. "I want him to see there is another way to live besides doing drugs and robbing people." In a conference room on the second floor of Bethel Christian Fellowship on East Avenue, about a dozen people have gathered to go through a mentor training program. Most of the volunteers in this group are white and over 40. Most of the children they will be paired with are African-American. Coffee, soda, cheese, and fruit are spread out on a table in the back of the room. Before the meeting starts, the mentors pick at the snacks and chat among themselves. Some admit to being nervous. Shaw has coordinated the training session, and he says he would like to have more African-American volunteers. "I'm not sure why we don't have more black mentors," he says. "We have some, but I am hoping more come forward. Right now, we have so many children who need mentors that I am not sure it matters. But I don't believe that a white man or woman from a different economic status or a different part of the city than where most of these kids come from can't relate to them. That's just not true." Volunteers have to meet certain criteria to become mentors for COPE. The most important is a commitment to spend time with the children over the course of at least a year. That requirement, says Shaw, weeds out a lot of people. Holding a demanding job, caring for elderly parents, or raising children make it difficult for some people to be mentors. "But many people have retired, and they want to try something new," Shaw says. "Some have never had children. Some have watched their kids leave home for college and are lonely for that kind of company. They miss being around young people. But we have young mentors, too, who see this as part of their college or career training." Ann Adalist-Estrin, a child and family therapist, hands out training sheets with fill-in-the-blank statements like "The best thing for children with incarcerated parents is..." and "Children of incarcerated parents feel like...." The author of two books on children of prisoners, Adalist-Estrin, has been training mentors around the country for 20 years. The training sheet is aimed at getting mentors to examine their reasons for wanting to be a mentor, as well as their attitudes and assumptions. Most of the new recruits are surprised to discover that they have biases. "Our views are shaped by our perceptions, and we tend to see what we want to see," says Adalist-Estrin. "When we think of these children, most of us initially think they would be better off without their parents because they are bad people. But that is not necessarily correct. 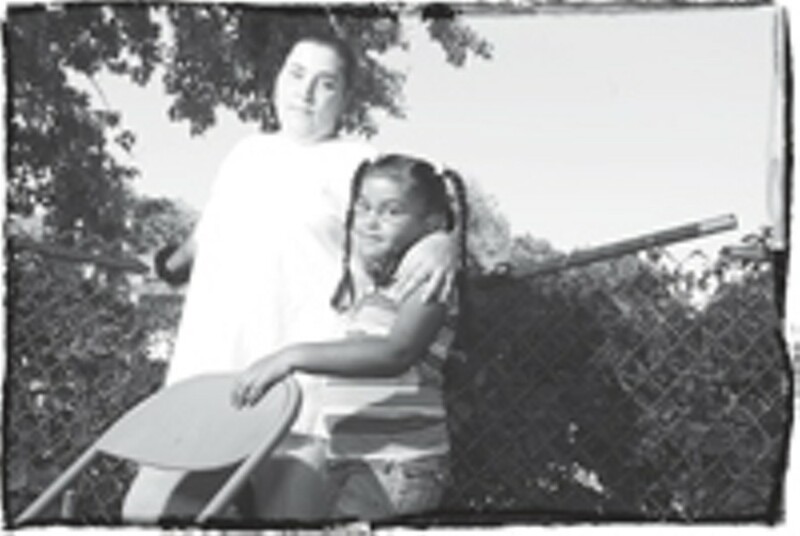 The majority of women in prison with children today are there because of substance abuse and mental-health problems. So if we always assume these people are bad parents, we're then in agreement that poverty, homelessness, shuffling children from one relative to another, and turning 70-year-old grandparents into parents is good for them." All children seem to have one fantasy in common, she tells the group: They want to believe and they want others to share the belief that their parents are perfect. They'll go to great lengths to protect that fantasy, and it's devastating for them to learn that it isn't true. "There's an old African proverb that goes something like: If you want to know the end, you have to start with the beginning," says Adalist-Estrin. "All children go through separation anxiety, and most are able to overcome it. But when these children learn that the trust they had with their parents has been broken and wheels begin moving them from one situation to another, they develop chronic abandonment disorder. It becomes extremely difficult for them to develop healthy relationships with adults. We know from research involving the Romanian orphans that the brains of these children are not only impacted emotionally, but PET scans have proven that they are like trauma victims with serious brain dysfunction." Children in this situation are a bit like a modern-day Oliver Twist. They are forced to learn how to survive by their wits. They face great stigma and shame. They conspire with adult caretakers, because they don't want to cause harm to the parent who is in prison and they don't want to bring more shame to themselves and the family. They learn the code of silence and how to behave around teachers, social workers, and police. And as they listen to stories about their parents, they face horrendous loyalty conflicts. One moment they want the parent to come home and rescue the family. The next, they are glad the parent is gone. As one mentor described their situation: "It's like the new divorce." "Trust is a quiet presence," Adalist-Estrin says reassuringly. "Some of you are afraid you are going to fail, that you won't connect with your child; that you're not going to be a positive influence. You bring to the task what you bring. Trust can be built in a moment or it can take years." Of the roughly 1.5 million children who have a parent in prison, about 60 percent are living with the other parent. Another 20 percent are living with a relative, usually a grandparent. Many of the mentors whom Adalist-Estrin trains will work with children in these extended families. Usually a mother, aunt, or grandmother has called the agency for help. But the remaining 20 percent get caught up in the child-welfare system because there is nowhere else for them to go. Most experts in child psychology agree that this is a child's worse fear. In a 2002 study, researchers Elizabeth Inez Johnson of the University of Michigan and Jane Waldfogel at Columbia examined the impact of where children are placed when parents are in prison. They wanted to know whether children whose parents are imprisoned adjust better when they are placed with a grandparent, for example, rather than in foster care. Johnson and Waldfogel concluded that children who are placed in foster care are at a particularly high risk of developing psychiatric disorders. Given what the children have already been exposed to in their developing years --- domestic violence, substance and alcohol abuse, poverty, overcrowded households, parents with low education and occupational skills --- children of prisoners who are sent to live with total strangers are almost destined to fail later in life. The risk is even greater when the parent is on death row or dies in prison. Victor Caswell was 16 when he found himself on the verge of homelessness. He would have preferred to have a relative to turn to when his mother was sent to prison, he says, but he didn't. Instead of going into a foster home, Caswell, who is 26 now, quit school and went to work for McDonald's. He thought a full-time job would pay him enough to survive on his own. "I found a small apartment," he says, "but then I had all of the other expenses that came with it. It was kind of a frightening shock to think I was working so hard and didn't have enough money. I was so young I really didn't know how much was needed to survive. I got another job, but those first few months were so hard." Caswell's entire family had broken apart. His younger sister went to live with a friend's family, and he lost contact with an older brother. "I did see my sister now and then," he says. "But there was a five-year period where we just weren't a family anymore. It was pretty difficult." Caswell learned how to install and restore flooring, and he has built a family of his own. And his mother has come back into his life. She was recently released from prison and is trying to put her life back together again. "I don't blame her or hate her or anything like that," he says. "I love her. Sure, I wish things didn't happen the way they did, but I can't hold on to that stuff. And I would say it's important to keep an open mind. She's paid a price, and everyone deserves a second chance." On the wall of Judy Simser's office at Jennifer's House-Spiritus Christi, a halfway house for women, are calendar pages. Each resident has her days of the week completely filled, scheduled right down to the half hour. A glance at the wall can tell Simser, who is the program director, where each woman is supposed to be. More than 50 percent come to her after being released from jail and are in need of transitional housing. And most have children --- some of them born at Jennifer's House. "Most of the women here are in recovery," says Simser. "These are women who have been living with violence and sexual assault." They have also committed crimes. "But they are not here to be judged," says Simser. "They have to get past that part of their lives if they ever hope to recover." Jennifer's House is like any other home in its Culver Road neighborhood. There are flowers in front. The lawn is mowed. Inside, the rooms are clean and neat. Furniture is arranged with care, and there are little touches of hominess --- a silk flower arrangement on a table, pictures on the wall, a throw draped over one of the chairs. On the television set in the living room, Oprah has started her show with a segment on career women who are having children later in life. Several women are watching; one of them is feeding a small baby. "I can't tell you how or why some women end up here," says Simser. "But a lot of these women have been physically and sexually abused as children. Add poverty, and it's not a pretty picture. Add their self-medication, the drugs and alcohol, and the criminal activity is a predictable part of that sequence." The biggest hurdle for the women trying to recover from addiction and re-enter society, says Simser, is overcoming their guilt. "Their relationships have been put on hold," she says. "They are in a lot of pain over what they have done to their children. Some will not be able to rekindle that relationship. Their children do not want to go through it again with them. It's hard to beg those you love for their forgiveness and hear them say no." Simser, who lost a son to drug addiction, says recovery is about the hardest thing she can think of for anyone to go through. "Life is not a level playing field," she says. "Addiction causes so much suffering. It's a disease. If someone had leukemia, we would want to treat that disease. Everyone knows you'll die if you don't. But we treat people with addiction very differently. Instead of making help available, we condemn them for needing it even though we know they are slowly killing themselves and others around them. To me, these are the bravest women I've ever met. I've seen such courage working here." Re-entry is likely to put parents on a confrontation course with Social Services, Family Court, or child-protective services. If they want to seek visitation rights or full custody, the stress may be the real test of their sobriety. Anxiety attacks them from every direction. "I try to encourage mothers not to bring their children back into their life too quickly," says Donna Eckert, executive director of Bethany House, another emergency residence for women. "A lot of these kids are so angry with their parents that facing that moment of truth is hard," she says. "It is probably not going to go well at first. That's almost for certain. Many of these women have lost their children to the Family Court system, to another relative who is standing in the way or an irate husband." Some women choose to keep their children at a distance "because they didn't ever want them seeing the inside of a prison," says Eckert. "But sometimes they have no choice other than to face it head on. We had one woman not long ago who was released from a state facility, and her brother came from Chicago early in the morning the very next day. He just dropped her son off and said, 'Here he is,' and drove away." Eckert blames the women's situation on three decades of conservative politicians demonizing government and social programs. "This is what you get when you do away with mental hospitals and replace them with prisons," she says. "This is what you get when you have unskilled mothers with children who want to work and want to go to school, but we cut assistance and raise tuitions. We have gutted so many of these programs that helped to prevent these problems. To give you an idea of how bad it is, they send them out the front door [of the jail] and many of them are sick. I've picked them up in front of the jail with no medications, nothing for high blood pressure, diabetes --- even HIV. About 20 percent of them are HIV positive and have no medications." Mark, who has served time, says he has watched his children suffer the consequences of his time in prison. And he asks that his last name not be used for this article because "I don't want to hurt my daughters." "They've been through enough because of me," he says. 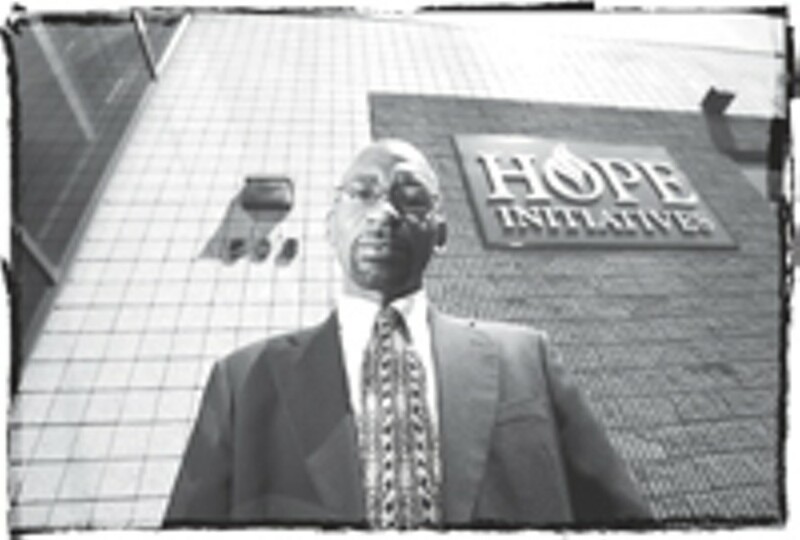 He sits down at the dining room table at Cephas Attica House, a re-entry residence program for men. Unlike the women's halfway houses, it is rudimentary at best. It looks like a home where someone is moving out rather than moving in. Mark pulls out his wallet, takes out a small piece of paper, and unfolds it. The paper is a copy of a newspaper article about his arrest. It has been unfolded and refolded so many times it seems to do it on its own. Following a cocaine and alcohol binge that left him suicidal, Mark was arrested. He had no intention of hurting his former wife or his children, he says, but when he violated a restraining order and broke into their home with a gun, threatening to kill himself, his former wife called 911. He was sentenced to five years in a state prison. His daughters were 3 and 7 years old, and his sentencing was especially hard on his oldest girl. The news media had picked up the story, and the daughter had to face her classmates the following day. After serving more than four years in the Elmira and Groveland facilities, Mark was released about three months ago. "I didn't see my children at all for the first year," says Mark. "They wrote me and I wrote them, but I basically cried myself to sleep every night. The worst part was that I was the main money maker. They had to move out of our very nice house above Ellison Park and into some awful apartment. My youngest didn't quite understand what happened, but for my oldest it was really hard, because we did everything together." Mark says he has no bitter feelings toward his wife, and he is thankful that his daughters have done so well despite the upheavals in their lives. "My youngest only knows me through prison visits," he says. "My wife brought them to see me a lot. I think I had 90 visits altogether, and I am so grateful, because many guys don't see their families at all." His ex-wife, he says, "has done a beautiful job raising them." "Our relationship isn't that strong," he says. "I have unrestricted visits, but you know it's been five years out of their lives that I can never regain. That wound will always be there"
He pulls back the long blonde hair that hangs below his shoulders. He's a good-looking man, thin with a nice build and a youthful face. He went to RIT to study civil engineering, and he says he came from a good family. After 25 years of addiction, he's now been sober for five years. He will never understand, he says, why he became an alcoholic and a drug user. He smiles faintly and says it ruined his life, but being sent to prison may have been what saved him. "You will meet some of the best people in prison and most of the worst," says Mark. "We all had one thing in common: we missed our families. Prison is living that is slowed down. It leaves plenty of time for introspection, and if you're lucky you might be able to retrace some of the footsteps that got you there. Prison is punishment. There is no such thing as rehabilitation in prison. As bad as people might think it is, it's a whole lot worse. It's really a living hell. The things you see and hear, the smells, the fights --- and all you can think of is I want to go home to my family." Mark pulls a lock of his hair down with two fingers and assesses the length. "A little bit longer," he says. "My oldest one and I are both growing our hair out so it can be cut and made into a wig for cancer patients. It's something we're doing together." While Carlene Covington was inprison, she took part in a workshop called "Let Your Life Shine." Women were asked to place descriptive words next to pictures of body parts --- heart, head, arms. For many of the women, she says, the word "heart" conjured up words like "unlovable" and "worthless." Arms could cause them to think of bruises or heroin. For Covington, the words made her think of pain. After five years of being in a physically and psychologically abusive relationship, Covington --- who was addicted to drugs and alcohol --- stabbed her boyfriend. The boyfriend lived, but she was convicted on assault charges and was sent to a downstate prison. After a year, she was transferred to Albion. Covington had three children, two daughters and a son, who were living with her at the time of her arrest. They went to live with her mother, but she couldn't take care of them and turned them over to foster care. Covington was pregnant when she was sent to prison. "There are a lot of mothers in prison," she says. "There's even a nursery there, but I just couldn't go through with it. I just couldn't handle it any more. So I had an abortion while I was there. I was trying to adjust to this whole different society. Every day, I cried to see my kids. When my mother finally brought them down to see me, she said she would never do it again." Even though her placement in Albion put her closer to her children, Covington says, she saw them only three times while she was there. "All three were living in separate homes," she says. "Not only did they lose contact with me, they began to lose contact with each other. When they came to see me, I felt like I didn't know them. It was like we were all becoming strangers. When social services sent me a paper diagnosing my one child with severe adjustment disorders, I signed it and wrote back, 'What do you expect?'" 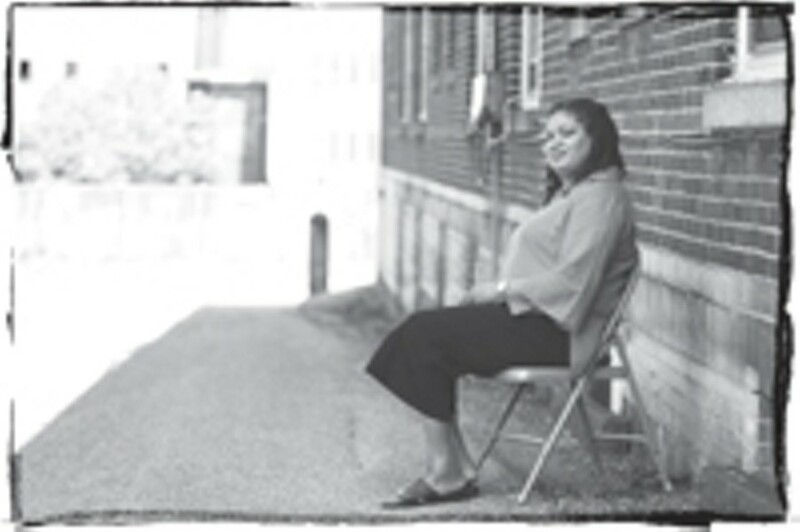 Out of prison and sober, Covington works at Step by Step, an agency that counsels women recently released from prison. She also gained custody of her children and is struggling to repair the damage done to their relationships. By the time she got them all back under one roof, they were teenagers. "My children lost any sense of faith in me," she says. "I wanted to say I'm back and I'm working so hard, so cut me a little slack here. But just because we were all together and at home again, that didn't make things right. My daughter says to me: 'You think you can come home after four years and just start telling me what to do? You don't even know me.' That's when I really felt their anger. It was like years of this building up inside until it just exploded." Covington took advantage of every self-help and parenting class she could find. But she admits that some problems haven't been resolved. Her oldest daughter moved out when she turned 18. And Covington went to court to have a PINS (Person in Need of Support) order filed on her 16-year-old daughter and 15-year-old son. "When my kid tells me that you sound like a social worker or you're sounding white, and they don't want to live by the rules, they are out of my reach," she says, her eyes welling up. "I just don't want them to make the same mistakes that I made. I'm very worried about my son. I know what can happen to him if he makes the wrong decisions." While she was in Albion, Covington was able to create a workshop of her own called SHOW (Sisters Healing Old Wounds). It was a support group that started with a handful of women talking about their experiences with domestic violence and abuse. The program has become so popular that it continues to this day, with 100 women waiting to take it. It was also the experience that helped Covington identify what she wanted to do with her life. She's going to school to get her degree in social work. "It's taken me a long time to answer one question: Who am I?" she says. "But I can finally say I am sober and I am a success story. My children still worry about me going back. My daughter will come up sometimes and sniff my drink when she thinks I am not looking." "I understand," she says "but I am not going back. Even the guards, when I was leaving, one of them said to me, 'Oh, we'll see you again.' I said, Oh no you won't --- not wearing the greens [women's prison uniforms], anyway. If I come back through those doors again, it will be to help someone else. That's the only way you'll see me again."